After a relaxing, and refreshing, 21 days of vacation I am ready to begin 2011. I did not realize how much I needed a little break from everyday life until I was away from it all. I had planned a trip to the east coast to visit with friends for my birthday and a last minute decision lead me to The Cayman Islands for Christmas. I love it when plans seem to fall nicely into place especially when the warm sun is involved! The two weeks away I kept up with steady running. In the Caymans I ran along South Sound Road which runs along the coast line. Running from the Condo where I was staying, into George Town and back was 21km. It was quite warm and I usually had a full day planned so early morning running was the only option. It was really peaceful and quiet on the road in the morning. During the 10 days I was in Grand Cayman we went sailing, snorkelling, swimming with the stingrays, morning walks along seven mile beach, lots of laughs and practicing Yoga with Janelle at her studio BLISS. If you are ever in the Cayman Islands check out Janelle’s Yoga Studio Bliss it is so Beautiful! I was lucky to have her assisting one class on Christmas Day and Teaching class on Boxing Day! AMAZING! The East Coast was getting slammed with a snow storm the day I was supposed to leave Grand Cayman. I was happy to hear my flight was cancelled and I could enjoy two more days in paradise. It was great to meet and spend time with good friends! Brenda, Tanya, Denise, Nat, Doug, Marcia, Matthew, Jo, and Jesse It was a great Christmas I will always remember! I am back to my regular teaching schedule with only one change. I will be teaching at Flow YYoga Wed 12-12:45 Hot Class. I will not be teaching Sat at 12 at Flow. One of my New Year’s Resolutions is having one full day off to myself. I believe it is very important and I was missing that last year. Look out for my upcoming Running Into Yoga Retreat that will be held in Tofino Dates TBA. YYoga Flow will be hosting Running Into Yoga Progressive Sessions starting in March I will be posting the dates in a few days. Another one of my New Years Resolutions is a Daily Meditation Practice. I start off at the beginning of the year dedicated and slowly it somehow gets put aside. I am going to make this practice a priority. 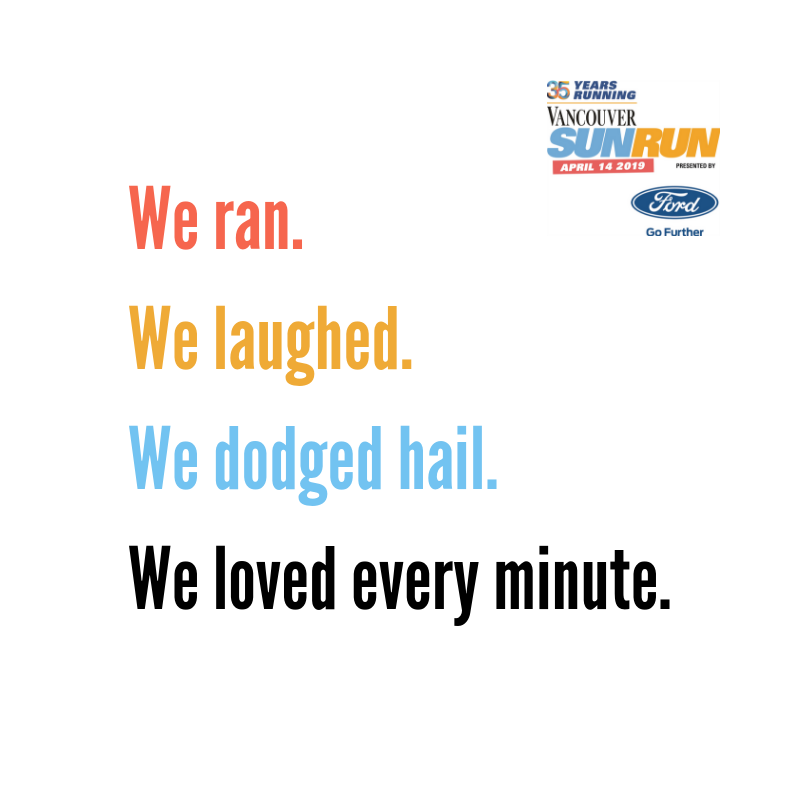 I am planning on Racing the Steveston 8k and The “First” Half Marathon. Looking forward to a great 2011!